New! Audio cassette labels for laser, inkjet, and photocopiers. Full-bleed style with four rounded corners. The price is per sheet. Better quality white audio cassette labels for laser, inkjet, and photocopiers. Full-bleed style. The price is per sheet. Brown kraft audio cassette labels for laser, inkjet, and photocopiers. The price is per sheet. 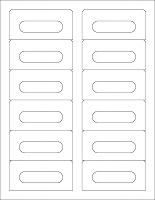 White audio cassette labels for laser, inkjet, and photocopiers. The price is per sheet. Blank 4 inch diameter labels with a center hole for 10 inch and 12 inch vinyl records. 4-up on a 8.5 x 11 inch sheet. Matte stock for laser and inkjet printers. Buy 25 sheets for wholesale pricing. Blank 3.625" diameter labels for vinyl records. Includes a center hole. 2 up on a 5.5 x 8.5 inch sheet. Matte laser and inkjet-printable stock. Buy 25 sheets for wholesale pricing. 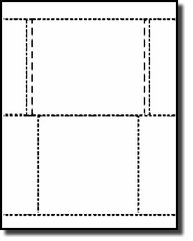 White blockout audio cassette labels for laser, inkjet, and photocopiers. The price is per sheet. Special material to hide print under the label. 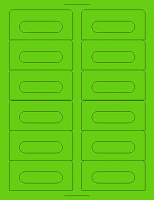 Fluorescent green audio cassette labels for laser and inkjet printers. The price is per sheet. 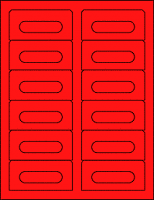 Fluorescent red (AKA Hazard Orange) audio cassette labels for laser and inkjet printers. The price is per sheet. 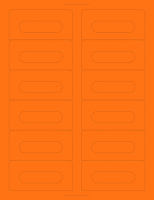 Fluorescent orange audio cassette labels for laser and inkjet printers. The price is per sheet. Fluorescent pink audio cassette labels for laser and inkjet printers. The price is per sheet. Frosted matte audio cassette labels for laser printers. The price is per sheet. Not for inkjet. Glossy white audio cassette labels for laser. Full-bleed style. The price is per sheet. Shiny metallic gold audio cassette labels for inkjet printers. The price is per sheet. Not for laser printers. Shiny metallic gold audio cassette labels for laser printers. The price is per sheet. Not for inkjet. White Mini-CD labels for laser and inkjet printers, hub printable. White CD labels for laser and inkjet printers, hub printable. CD jewel case covers and traycards. These 8.5x11 inch sheets contain 100 CD jewel box covers. Pack of 100 sheets. 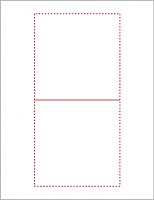 These 8.5x11 inch sheets contain 2 perforated tray cards. Pack of 100 sheets.